Earn $32.50 in VIP credit (3250 points)What's This? 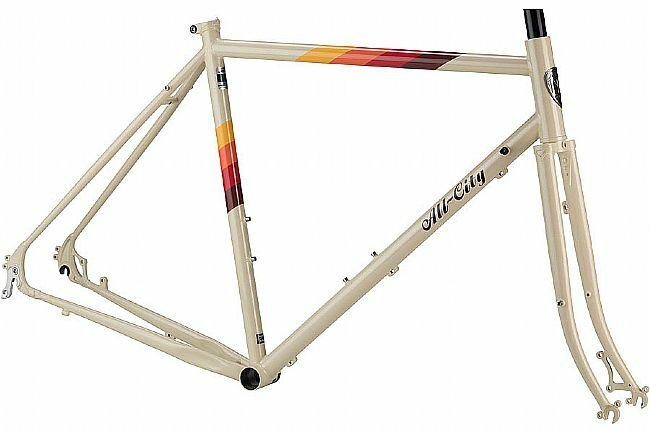 All City’s Space Horse Disc Frameset features 612 Select CroMoly Steel construction, classic styling, and mixed geometry that can handle nearly any task or terrain. 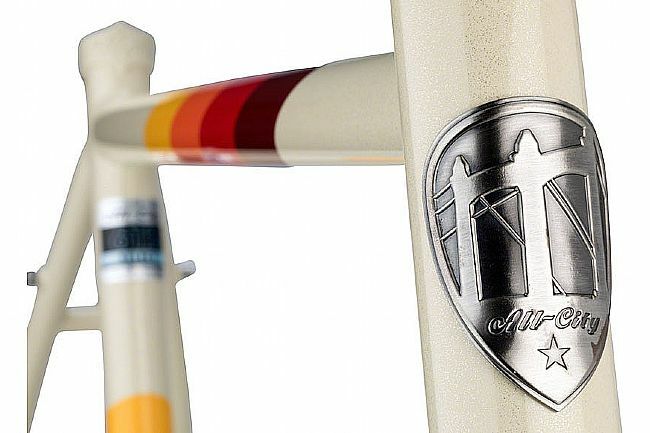 Its geometry is a mix of traditional road and randonneur, with a relatively short rear end and a bottom bracket that’s slightly lower than a standard road bike. This gives it both agile handling and increased stability. Fork: 4130 CroMoly tapered fork blades, lugged crown & matching dropout, straight steer tube, IS disc brake tabs. Steerer Tube / Headset: 1-1/8" threadless, EC34 upper & lower, crown race 30.0. Brake Compatibility: Disc, 140mm rear & 160mm front minimum rotor size. Tire Clearance: 700c x 42mm (49-61cm) 650B X 45mm (43-46cm). Derailleur Hanger: Wheels Manufacturing No. 41.